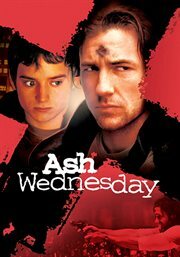 The item Ash Wednesday, (electronic resource) represents a specific, individual, material embodiment of a distinct intellectual or artistic creation found in Topeka & Shawnee County Public Library. Hell's Kitchen on Ash Wednesday, 1983. Rumors are flying that Francis Sullivan's younger brother Sean, dead for three years, has reappeared. If he wasn't killed by rivals, then old scores still need settling, putting Fran and Sean in danger. An upstart is pressuring the local mob boss, who's Fran's protector; Sean's wife, who thinks she's a widow, has gotten on with her life, but Sean has come back for her. The parish priest, part of the initial deception, is frightened. Bad guys with guns are closing in. Can Fran get Sean and his wife out of the city, avoid a war between rival factions, and hold onto new-found morality? Will the cross of ashes on his forehead protect him?